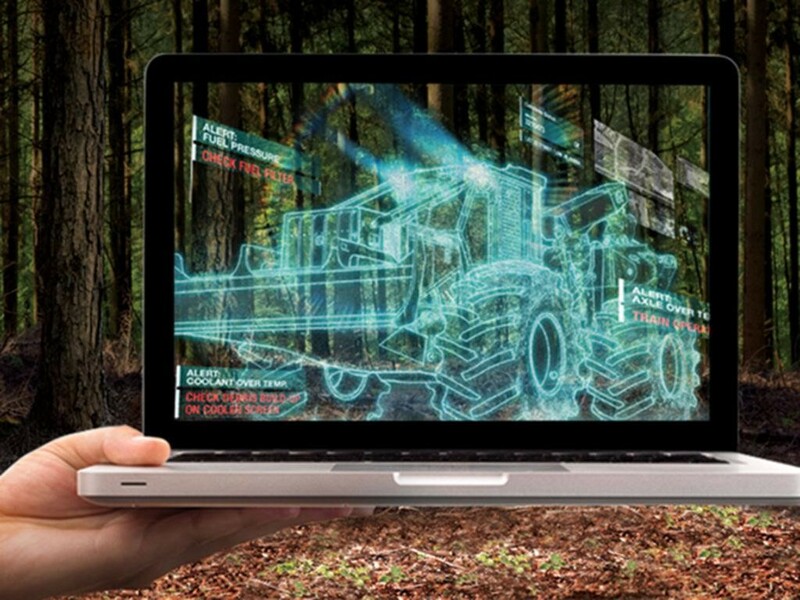 With the ability to collect and process data in real time, John Deere technology for forestry equipment is giving logging contractors actionable insights to improve machine efficiency, increase uptime, and better manage job sites. John Deere ForestSight lets you monitor active and idle equipment as well as engine load and fuel consumption easily, so you’re always aware of machine health. These insights ensure you’re getting the most timber for each hour your machine is used. Integrated equipment technology allows your John Deere dealer to diagnose or troubleshoot problems remotely. That means you can get your machines back to work faster and avoid high fees to bring a technician out to the job site. Your dealer can easily monitor your equipment with you to provide maintenance recommendations so you don’t have to worry about downtime. With this data, you have more visibility into your machine operations than ever before. Plus, you won’t even need to be on site to see it. With this technology, you can view equipment productivity, plan around refueling needs, and even see machine movement to identify training opportunities. Interested in learning more about integrated forestry technology? Contact your local John Deere dealer, Papé Machinery Construction & Forestry, to speak with an equipment expert today. Cut-to-Length (CTL) logging is a popular alternative to traditional harvesting methods. If your logging company is considering moving toward cut-to-length harvesting methods, make sure you understand the pros and cons. AERIAL SPRAY BAN IN LINCOLN COUNTY - MORE TO FOLLOW? Lincoln County, Ore., has become the first county in the nation to ban spraying aerial pesticides. The ballot passed by a narrow margin in May 2017, superseding state and federal pesticide laws and regulations that would otherwise permit the aerial spraying of pesticides.